5k Training Launches in July! – Zombies, Run! 5k Training Launches in July! We’ve already teased you with some sneak peeks, but it’s time to come clean. 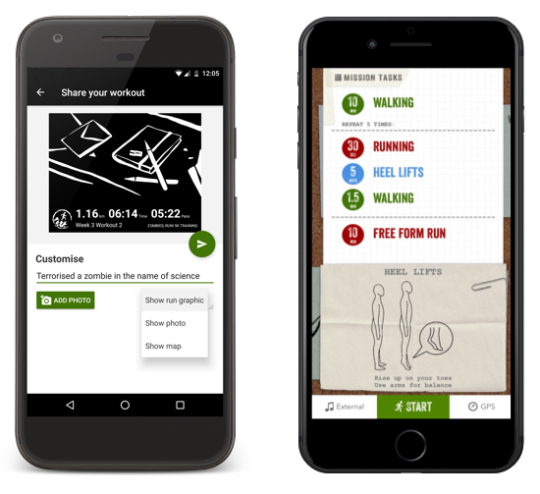 The huge new update for our 5k Training app is launching in late July. That’s enough time to ready yourself for training with Maxine, Sam & the gang! External Music Player support, so you can listen to Spotify, Pandora or Google Play Music while you train. 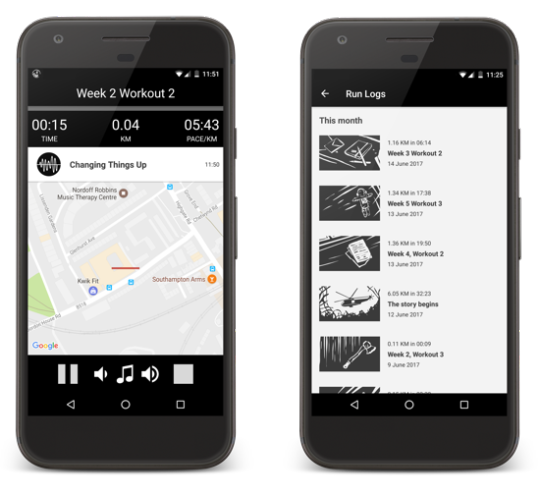 Sophisticated tracking methods to match Zombies, Run!, such as Constant Pace, mapped GPS and more reliable Step Counter. No more fiddling with Classic – all 5k Training data will synchronise directly with the main ZombieLink website! Show off post-run selfies with new sharing screens! See how far you’ve come without checking the website, with the Progress Report. And more…but you’ll have to wait until July to experience them all! This update will be released for both iPhone and Android. If you previously bought 5k Training, you won’t have to purchase it again – this is a free update. We’ll be posting an announcement the day it launches so you don’t miss out on training with us!